Managing a project involves managing data – lots of data – and it’s easy to lose sight of what’s important. What if you could build a business intelligence dashboard to help you manage projects more effectively? And what if you could do it in less than 30 minutes by using software that you already have? Finally, we will tie all of those diagrams together by publishing them to SharePoint in a way that allows anyone – with or without Visio – to view your dashboard. Scott A. Helmers is a Partner at the Harvard Computing Group, a software and consulting firm that assists clients with understanding and implementing business process solutions. 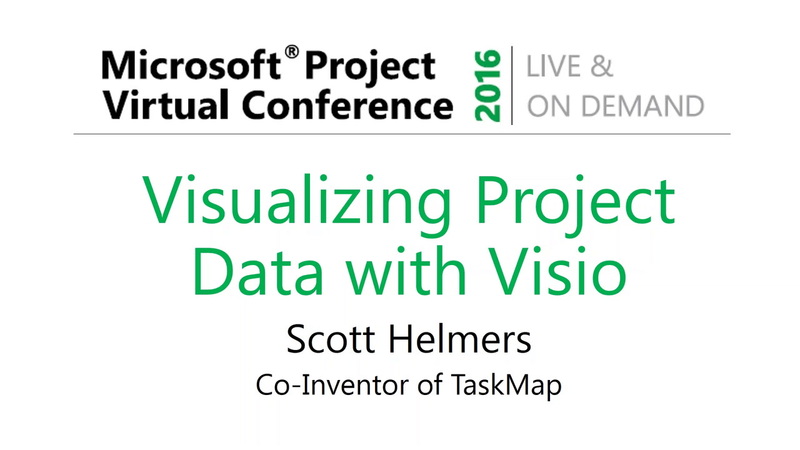 He is a co-inventor of TaskMap, a Visio add-in that allows anyone to document, analyze, and improve their business processes. Scott has worked with clients in ten countries on projects involving process mapping and redesign, knowledge management, and technology training. For more than a decade, Scott was an Adjunct Professor at both Northeastern and Boston Universities. He has been named a Microsoft Valuable Professional (MVP) for Visio every year since 2008 and is the author of four books from Microsoft Press: Visio 2016 Step by Step, Visio 2013 Step by Step, Visio 2010 Step by Step, and Business Intelligence in Microsoft® SharePoint® 2013 (coauthor).